You may send MacEntyre the liner that you want to use, or send an outline of your socked foot. 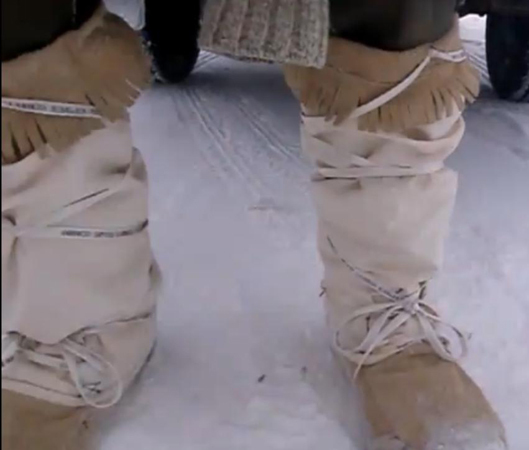 MacEntyre has used these mukluks as low as -20*F, using one pair of wool socks and mil-surplus wool felt boot liners, with excellent results.These mukluks work very well with snowshoes. Unlike mukluks that have a heavy sole and more structure, they will not tear up traditional snowshoes. Leather and canvas Mukluks with leather sole and white canvas uppers.